Looking for some greener eco air systems? They’re a safer way to heat your home. In fact, traditional heating methods harm the environment. These heating and cooling solutions are made from fossil fuels: coal, natural gas, and oil which cause damage to the natural environment. Fossil fuels used for heating are responsible for a variety of environmental mishaps. This includes air pollution, global warming, acid rain, and oil spillage. All these conditions wreak havoc on the planet. So what do we do? How can we heat our homes without spending a small fortune for energy? The answers lie in eco-friendly energy systems and solutions. Manufacturers have created a variety of environmentally friendly options. In this post, we’ll discuss how each kind of eco-friendly heating and colling systems and how their solutions can help you heat your residence or commercial building while helping to keep the environment green. Let’s learn about the options to reduce the carbon footprint so we can play our part in using green energy intiatives that help keep our earth and home environment safer. Here are ways to keep the air we breathe green and save energy in the process. An important way to save energy and keep the air you breathe clean is with regularly scheduled maintenance of your air and heating systems. While it’s good to regularly change filters for your HVAC systems, it’s also wise to have a company clean out ducts and check the performance of your system to make sure it’s running up to speed like Hays Cooling Heating & Plumbing does. Pellet stoves are like wood stoves. They work with pellets made from waste products such as sawdust, waste products and switch grass. These renewable energy sources are low cost products that are recycled. To add, the pellet stoves are also affordable. You can purchase one between $2,000 and $3,000. And did you know they are friendlier to the environment than wood stoves? Wood stoves produce more air pollution than a pellet stove. And one pellet stove can heat an area of 1,500 square feet. If your home is larger than 1,500 square feet, you can always purchase a second pellet stove. While they may seem a little pricey, you will make up the difference in price with pellets. They will only cost around $500 to $600 for the winter season. That’s cheaper than buying firewood. Another advantage is that pellets don’t take up much room. You can also store pellets in your garage. The best thing is you won’t have to run outside during the freezing temperatures to chop more wood and carry it in your home. Masonry heating system resemble a fireplace. They provide heat for 24 hours. A masonry heating system works by trapping the heat inside the bricks of the smoke chambers. Masonry heaters burn wood, but they are more green because they burn wood slower, producing less air pollution than wood burns. Masonry heaters can cost as little as $2,000 or as much as $5,000. You can have them designed to meet your style preferences and made to be in sync with your home’s dimensions. While the system costs more initially, the longer you have the masonry heating system, the more money it will save you over time. Many homeowners believe it is well worth the investment. If you have a bigger budget, you might want to opt for a geothermal heating solution. These systems take about eight years to get a return on your investment. and they will increase the resale value of your home. This green solution is the best eco-friendly way to heat your home, however it does require an investment when it’s installed. Geothermal heating uses consistent temperature from the earth. They are installed beneath the surface of the earth where it’s warmer than the outside air. And takes less time to get the desired result set on your thermostat. This makes geothermal hearing systems more effective than using other HVAC systems that operate using external air. When the air gets colder outdoors, more energy is needed to keep it warmer indoors. It’s not rocket science that solar heating is the most energy efficient heating solution for your home. Similar to geothermal heating, it takes an initial upfront investment that might seem expensive. But it balances out over time. Solar panels can be expensive, however that’s the only expense you’ll need to make. The sun does the rest. After the panels are installed, you’ll be able to heat your home free of charge. Like geothermal heating, installing solar panel hearing also makes a good investment when you’re considering selling your home. The value will increase the salesprice. The cost of solar heating varies from $30 to $80 per square foot. You will need to buy one solar collector per 400 square feet. Each collector costs around $3,500. But you’ll only have to buy it once. Here’s how solar heating works. The system you choose will be based on the type of system you have: forced air or liquid. If your heating system runs on forced air, you will need a solar air heating system made to run on forced air. If you have a radiant heating system installed, you will need to select a solar liquid heating system. The liquid is heated by a hydronic collector. 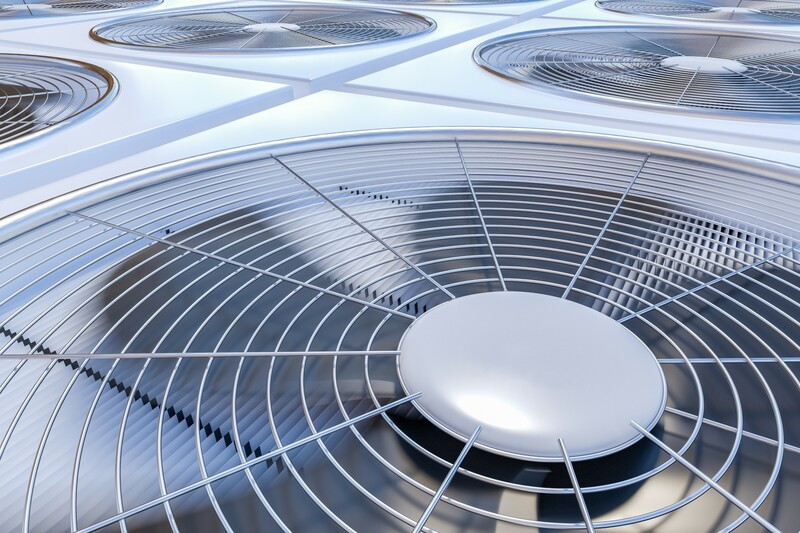 In this article you have learned about five eco air systems. Some are more economical from the get-go and others save you money over time. No matter what system you choose, each will help you save energy and offer friendly heating and cooling options to keep your home or office comfortable during the cool or hot months while helping protect the environment. Want to discover more about green lifestyle? Explore the NuEnergy website to learn more about green transportation and more eco-friendly topics.